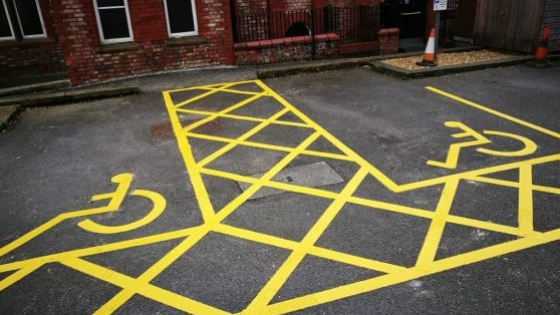 Top Mark Solutions are a leading line marking company based in Manchester and also offer services throughout the North West and Midlands. 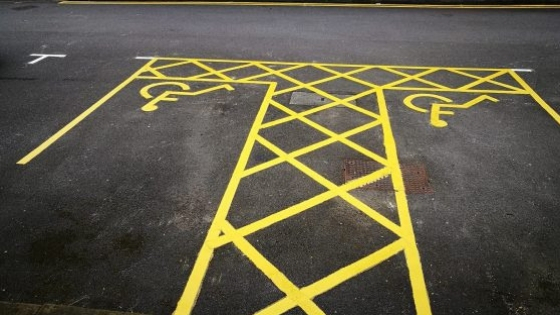 We have the flexibility to meet all of our client’s line marking needs and no job is too big or small. 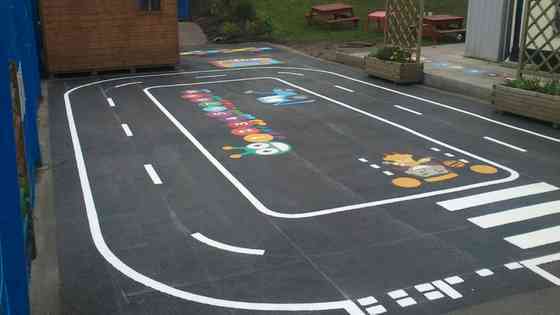 Whether it is a 500 space car park lining for a supermarket or a single fire access box lining for residential flats. 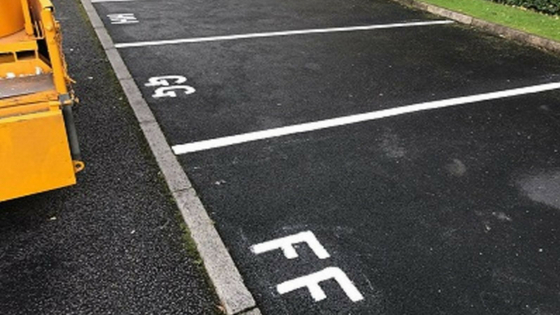 Using specifically designed thermoplastic line marking techniques our specialists can efficiently have your car park up and running in no time. We offer a fully bespoke design service across the North West and Manchester providing sports club emblems or school badges which can be designed and marked on your site. 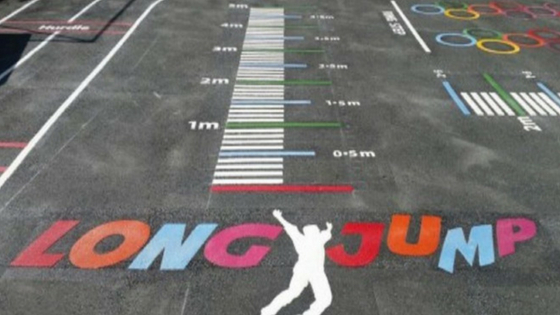 Using thermoplastics reduces the deterioration caused by sunlight, water, oil, extreme weather conditions and wear from vehicles or footfall. 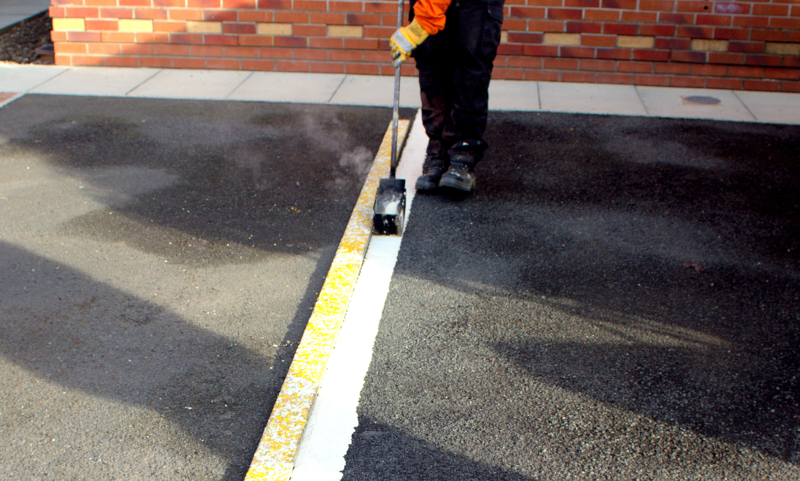 If your existing line marking needs removing we also offer line marking removal services. If you are unsure of your requirements our experienced team can offer advice on marking configuration. We have a large number of options in order to meet your specific needs. 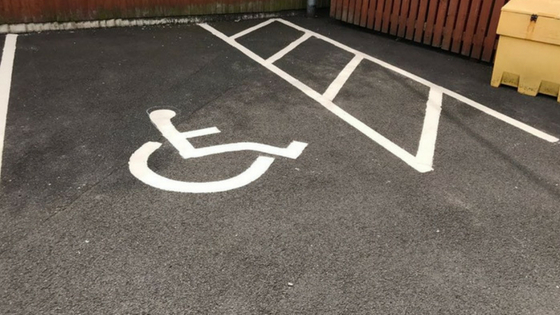 From straight forward lettering and numbered floor signs to bespoke signs for wheelchairs, vehicles or logo’s we can help. All Top Mark Solutions staff receive the appropriate training and they are competency assessed. We ensure all aspects of your requirements are fully understood and that work is carried out to the required standard.